Dr. Steve Cole has served as chancellor at Cossatot Community College of the University of Arkansas since 2010. He began his career at the college in 1997 as a member of the business faculty. 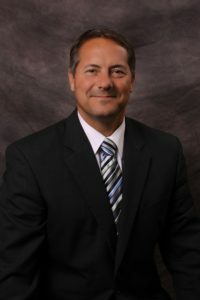 He was named division chair of Adult, Distance, and Secondary Education in 2001, division chair of Business in 2003, and vice chancellor and dean of academics in 2007. Cole received his undergraduate degree in business administration from Henderson State University in 1987 and his Master of Business Administration degree from Texas A&M University in 1997. He earned his educational doctorate in higher education leadership in 2013. Cole has taught various courses at CCCUA including economics, business law and management. He also holds a secondary teaching degree and has taught students from area high schools in the Cossatot Secondary Vocational program. Cole was appointed to the Arkansas Rural Development Commission in 2005 and served in the Arkansas General Assembly from 2008 to 2010. While a member of the State House of Representatives, he served on the Judiciary and City, County and Local Government committees.